Narayana is the other name of the supreme god Vishnu who plays a key role in safeguarding human beings from potential threats. In fact, he helps to live a safer life by eliminating bad forces. In Vedic scriptures, Narayana is also known as Mukunda which means the care taker of people who want to get liberation from birth and death life cycle. It has been proved that performing Narayana Vishnu homam may bring major changes in life. 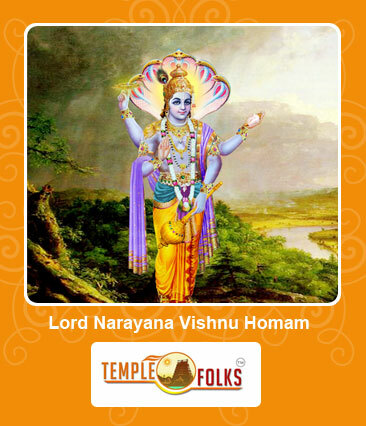 Narayana Vishnu homam is a suitable one for improving spiritual knowledge to manage difficulties in life. Moreover, one can be able to obtain the blessings of Lord Vishnu with this homam for ensuring protection levels in life. Another advantage is that it helps to get recovery from doshas and other issues. For organizing this homam, one should consult with a leading Vedic consulting firm to experience desired outcomes. Vedic folks is a reputed company that helps to conduct the homam with scholars for achieving best results. Expert teams will give ideas for performing Narayana Vishnu homam after studying the horoscope of a person. One can also book the services through online for doing the homam at the right time. Live TV show is arranged by this forms to view homam from anywhere in the world.